Make the right decision—and get ahead of potential conflicts and stress—by weighing these important issues. If you’re not already in the caregiver ranks, the thought must have crossed your mind: There will come a day when at least one of your parents won’t be able to take care of his or her basic daily needs. What then? There’s a good chance Mom or Dad will move in with you. Twenty-three percent of people between the ages of 45 and 64 provide unpaid care for an older person (age 65 and over), according to the 2012-2013 American Time Use Survey conducted by the Bureau of Labor Statistics. And a 2013 Pew Research study found that 68 percent of people ages 40 to 59 expect to care for an aging parent in the future. 1. Why are you considering having her move in? Your parent’s health insurance plan—whether they have Medicare, Medicaid, or a private plan—may offer reimbursement for in-home skilled health care. To find Certified Home Health Agencies in your area, visit your state’s Department of Health website. 2. 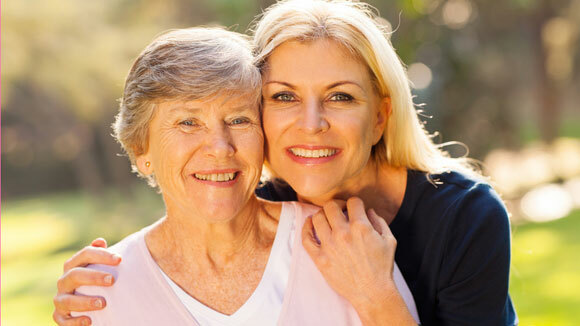 What are the caregiving needs? Before taking the cohabitation plunge, figure out what your parent will need on a day-to-day basis, says Vanderbilt. “One need might simply be that the parent is suffering a time of loss, such as when a husband dies and the wife is living by herself. What she really needs are companionship and transportation — that’s a common scenario.” But then there are other, tougher situations, like when a parent’s health is starting to fail and she is experiencing confusion or weight loss, or her vision or hearing are going downhill. “That person will have much greater caregiving needs,” says Vanderbilt. 3. Are you going to be able to meet those needs? If your parent falls in the companionship-and-transportation category of caregiving, you will probably be able to host him in your home without too much difficulty, provided you have the appropriate living space. But if dementia or certain other circumstances are involved, the road might be too tough for an untrained family member to undertake. “If the loved one does not sleep at night and is up and roaming around the house and you have to supervise, or if the person is incontinent, that is often a deal breaker for families being able to care for them at home,” says Vanderbilt. One more consideration to keep in mind early on in the decision-making process is your personal relationship with the parent in question. “You need to carefully reflect on own relationship and dynamics with the parent moving in,” says Vanderbilt. “If getting through Thanksgiving dinner has been tough, the conflict and stress will probably get worse” once you’re sharing a roof, further complicating caregiving. 4. How does the rest of your family feel about it? Additionally, you’ll want to talk to family members who don’t live with you, but are intimately involved—namely, your siblings. Vanderbilt advises having a conversation with your siblings to define your roles and avoid resentment on all sides. “This should be a family decision,” she says. “If there are other adult children, sometimes they’ll go ‘Phew, she’s gonna take care of mom!’ But you have to be assertive, and say ‘Yes, mom lives with me, but I need you to be the one who’s responble for handling finances or taking mom out on the weekends, or come here and stay for a week each year while I go on vacation. You need to be very up front.” Establish what help you’ll need from your siblings, so they can’t plead ignorance. 5. Is your house arranged properly if your parent’s mobility decreases? Is there a bedroom downstairs? Do you have additional steps up or down on the ground floor? Is there adequate space to maneuver around the furniture if agility and balance are a concern? Are your floors slippery? Can you install safety grab-bars in the bathroom? “You need to examine how physically frail the older adult is,” says Vanderbilt. “One floor is always better. They may be able to walk up the stairs today, but may not be able to next year.” If your house can be modified easily to accommodate your parent’s potential safety concerns, you’ll likely live together successfully, longer. If your parent is affected by dementia, visit the Alzheimer’s Association website for more home safety tips. 6. How do you know when the responsiblity is too much?